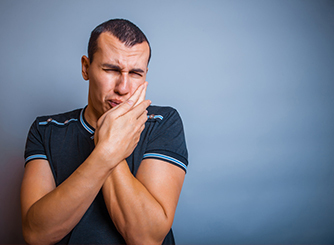 Teeth undergo heavy stresses and strains during eating (mastication) or habitual grinding (bruxism), as well as clenching, which causes fractures and cracks resulting in a broken tooth or even broken teeth. There are many different types of tooth fractures. However not all broken teeth require emergency dental treatment. A thorough examination and history of the patient and the circumstances regarding how and when the tooth became broken must be considered. Trauma resulting in the immediate exposure of the nerve of a broken tooth is of urgent dental problem which should be addressed as soon as possible. If the injury also resulted in a concussion then the individual should proceed immediately to the nearest hospital emergency for an evaluation prior to seeking dental care for the broken tooth. If the broken tooth is only sharp and irritating the tongue, lips, cheeks, or other intra-oral soft tissue then this is not really a dental emergency. However the individual may want to be seen for reasons of anxiety, aesthetics, or comfort reasons. Causes of broken teeth may include trauma form an accident, a foreign body in food during mastication or decay, or teeth with infractions which may cause the tooth structure to become undermined. Negative habits or parafunctions such as chewing on ice cubes, opening bottle caps with the teeth, or not wearing protective mouth guards during sports can result in broken teeth. How Can Broken Teeth Be Restored? 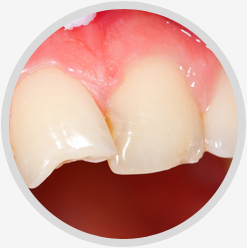 Broken teeth may be restored with standard dental fillings, dental crowns, onlays, or inlays. Unfortunately sometimes a broken tooth or broken teeth are not restorable and may have to be extracted. Although the broken tooth is restorable due to financial reasons, the lowest cost option of extraction is the only choice. Endodontics or root canal therapy is necessary in cases where the broken tooth involves exposure or irreversible damage to the pulp.